Helping your child fall in love with the wonder of reading? A magical bookstore experience is part of the fun. Melbourne’s best bookstores for children are scattered across the city and suburbs so it’s not too hard to find one on your side of town. 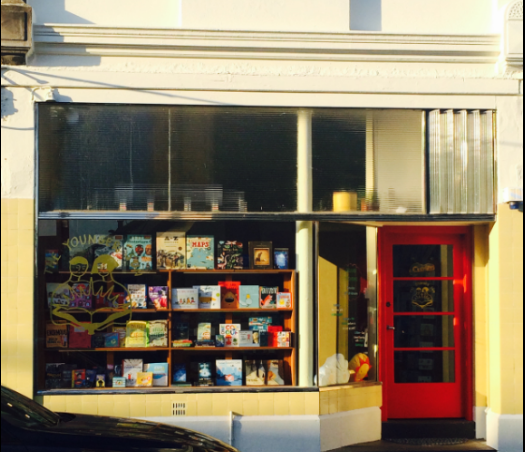 What makes a great children’s bookstore? It’s more than just books on the shelf. For stressed-out parents looking for the inspiration that might help reluctant readers turn a new page, it’s all about the staff. Whether you’re looking for a present in a hurry, or just want to reward your own little ones, these bookstores are some of the best around. Board books? Pop-up books? Something for older readers? Classics? Graphic novels, perhaps? Or do you fancy a book with a Mother’s day theme? Even the website of this lovely bookstore – Melbourne’s oldest dedicated children’s bookstore – is easy to navigate to help you find the stories that help young imaginations soar. Each Thursday and Friday, from 10.30am, the store opens its doors to storytime for the toddler and baby set, with songs, rhymes and amazing tales to help turn little children into life-long book-lovers. New books can be expensive but sometimes borrowing from the library (and having to give those lovely books back) just doesn’t feel as great. It’s the offspring of the much-loved Sun Bookshop that is a Yarraville institution and this cosy little store – dedicated to the very best in children’s books – has been going since 2007. The original store is still going strong in Albert Park but this second store is just as wonderful – and very handy in family-friendly Elsternwick. The staff here really know their stuff and are always happy to take the time to recommend some fantastic titles. And they also wrap the books beautifully – perfect for that last-minute birthday present or a feel-good reward to surprise your little one. The fact that the store is flanked by cafes makes it even more enjoyable – you can load up with your favourite drink and take your time browsing for books just for you, while your little one scoots to the dedicated children’s section and takes a seat to settle in with a story they’re keen to try before they buy. The YA section is great for older readers and the shelves have everything from classics to the latest contemporary titles to help you find a story you’re all sure to love. When you’ve done the South Melbourne Market and you’re looking for a quiet place to browse and choose a story that’s just perfect for nap-time, this charming bookstore has a soothing timber décor and a lovely space for children at the rear of the store (just don’t try to get te pram in there on a busy day!). The original Carlton store is legendary but this Hawthorn version has been operating long enough to have its own reputation as another arm to the Readings bookstore empire. Kids will love the large children’s section at the rear of the store and the in-house café makes instant gratification a treat. Even the name of the café – Bread and Jam for Frances – is a nod to children’s literature and the classic tale of a food-obsessed badger. Simply stock up on a quality book or two and you can enjoy some quiet time over your favourite sweet treat or drink while your little one in enthralled with their latest story (and you catch up on your own reading for a bit). All the favourites from your own childhood are easily found (or ordered) and the staff are always happy to share their knowledge about the latest and greatest contemporary books too.